Facilities - Ingram Entertainment Inc.
Ingram Entertainment Inc. has a total of ten facilities throughout the United States: three sales facilities, six national distribution centers and our corporate office outside of Nashville, TN. 500,000 square feet of warehouse space. Process an average of 5,000,000 units per month. 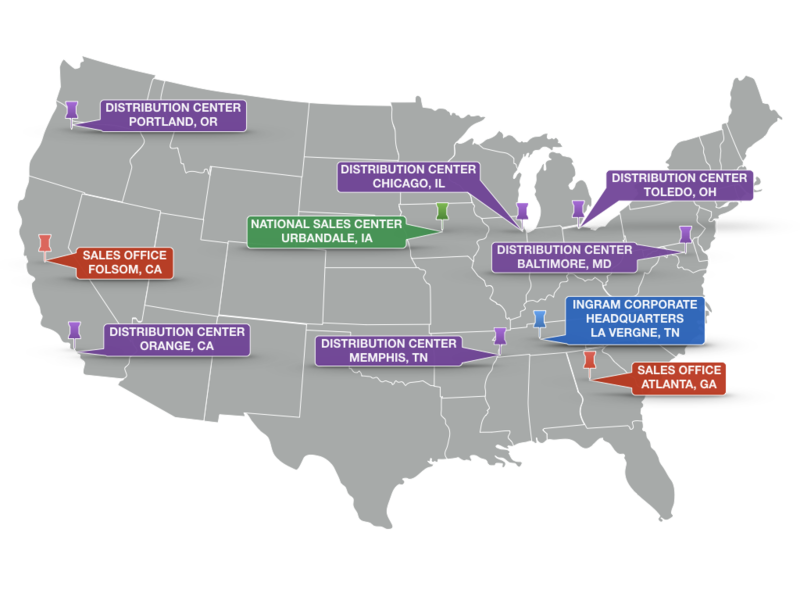 A total of 10 sales and distribution facilities located throughout the United States. Distribution Centers – Baltimore, Chicago, Memphis, Portland, Toledo, & Orange. For 99.7% of the continental U.S., products we distribute reach customers within two days.